As everyone knows education is always underfunded, and my school is no exception. We do the best with what we have, but our schedule changed this year, and where I formerly only had a maximum of 30 students who would read a novel at one time, I now have 64. 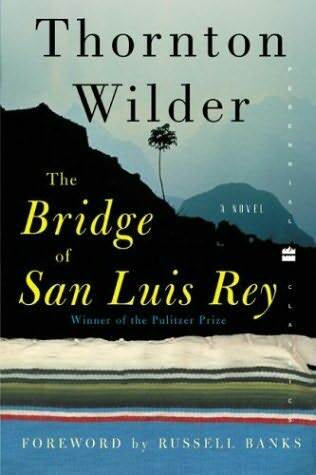 This means that we need more copies of Thornton Wilder’s The Bride of San Luis Rey if we are to be able to continue reading this wonderful novel. Looking for a way to fund their reading without placing any burden on my students, I have created a request on a 501(c)3 charity website called DonorsChoose.org. I’m writing to ask for any donations possible for my students – no matter the size (seriously, every little bit counts). unfortunately not 25 cents anymore! If you can’t donate anything at this time, no worries… just share this information with anyone you know who is passionate about education or literature. 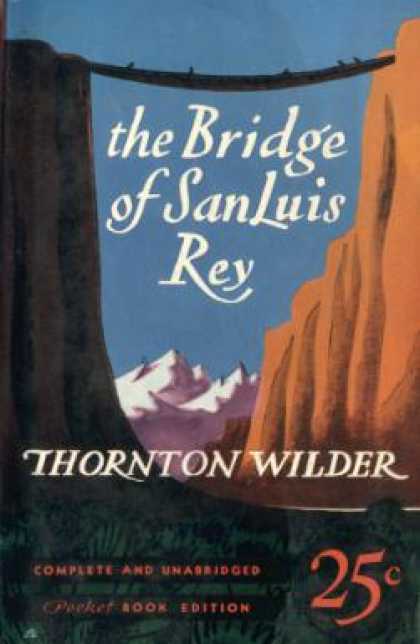 Your donation will have a direct impact on at least 32 students this year, and we will be working on a project on the Logophiles website to show everyone how these novels impacted my students. Thank you so much! I’ve never tried anything on Donors Choose before, but I found it working on my blogs, and I decided to give it a try. What a blessing if it works out! I shared to 2 different places on Facebook. Twitter. Blog and Googles Plus. Good luck. As A teacher I understand how hard it is not having the supplies you need. Thank you SOOO much! I’ve linked this to everything I have as well. Hopefully we can get it out there! I’ll be keeping everyone up to date! Sharing this because it is too important not to share. A teacher needs books for her students. Socrates Underground is the name of the blog. DonorsChoose is a wonderful website. I’ve donated there before, and have been happy with the projects,, teachers, feedback, and convenience. Isn’t it fabulous? It’s a great site, but a shame that schools and teachers have to ask for donations to get by. But we do what we have to. It is good for the students to see the support for their educations!